Make an immediate impression when you wear these unique and sophisticated gold and silver drop earrings. We bet you can guess these are from the John Hardy Dot collection, but what you may not realize is that these are among the designers most in-demand styles. Handcrafted in sterling silver and 18k gold, these textured earrings epitomize infinite possibilities with their clever circle on circle within circle design. 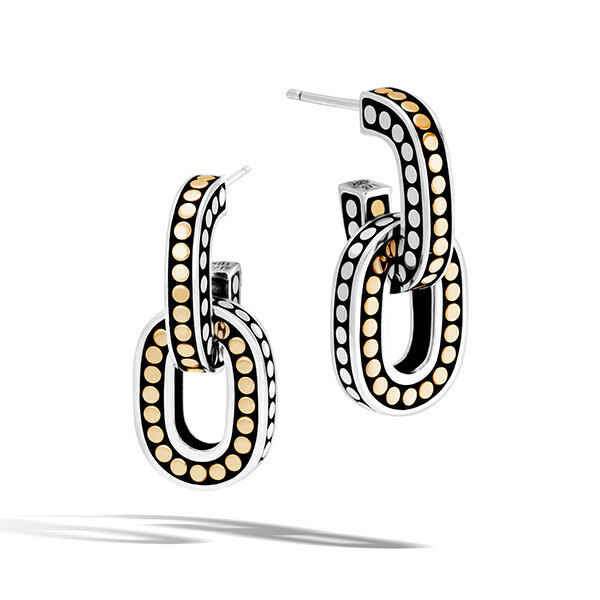 Experience the feeling of boundless love when you wear these earrings.